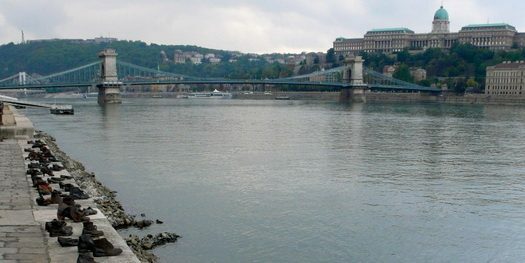 An Israeli search-and-rescue group will begin scouring the waters of the Danube River in the Hungarian capital of Budapest this week for the remains of Jews murdered during the Holocaust. The mission was announced on Monday after a meeting in Budapest between Israeli Interior Minister Aryeh Deri and his Hungarian counterpart, Pinter Sandor. It will be carried out by divers from the ZAKA organization. 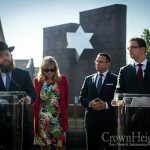 “I am pleased that the Hungarian interior minister has promised assistance, support and technological equipment for the benefit of this project, and I hope that the ZAKA divers will be able to bring these holy martyrs to a full Jewish burial,” Deri said. The divers, according to a ZAKA statement, will be aided by a newly-purchased sonar device. ZAKA said negotiations over the first-of-its-kind operation began three years ago. Toward the end of World War II, thousands of Hungarian Jews who had not already been sent to death camps were executed on the banks of the Danube by members of the Arrow Cross — the far-right fascist party that collaborated with the Nazis and ruled Hungary from October 1944 to March 1945. 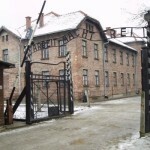 Approximately 565,000 Hungarian Jews were killed in the Holocaust — mostly at Auschwitz, in Nazi-occupied Poland, where they were deported en masse in mid-1944.